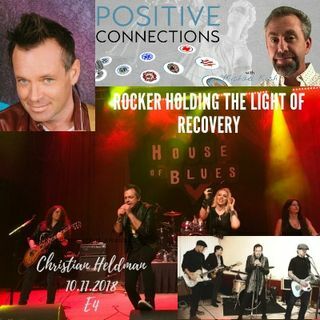 Join us as Christian Heldman shares his story of survival through addiction and his world in the rock and roll music industry. Christian is a member of Rock to Recovery and brings music into the lives of those looking for hope. I love you bro. I'm grateful for you being in my life and I'm glad we got to spend time together at church this weekend. Oh by the way, I caught your cold you big dummy! So glad you accepted Jesus Christ as your lord and savior take comfort in the knowledge that you're spending the rest of Eternity with the Lord. Before you know it I'll be there with you, Lord willing.